Choosing to renovate your kitchen represents an astute investment in a beautiful, usable space that is guaranteed to enhance your home’s value. 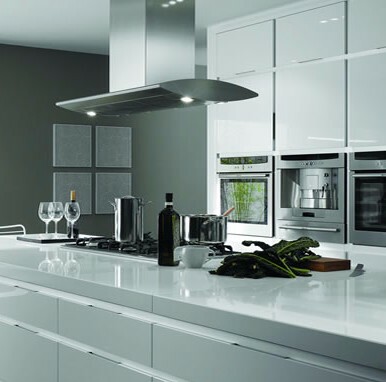 At Hills, we pride ourselves on giving our valued customers Adelaide’s premier kitchen renovation experience. The idea of renovating your home can be stress-inducing, but we are here to guide you through every step of the kitchen renovation process. Using our wealth of interior planning experience, we will help you to create the optimal design for your home, tailored exclusively to your needs and budget. We ensure that you are fully-informed and in control from project conception to completion. Our detailed planning process and quality assurance measures guarantee that your kitchen renovation will result in a stylish, functional space that will be enjoyed well into the future. Your kitchen renovation will be constructed by highly-trained staff, at our manufacturing facility in Adelaide. Our discerning buyers have curated a superior selection of quality materials, from the most reputable suppliers. Our confidence in our products and artisanship is so great, we offer clients a ten-year guarantee, with many of our suppliers offering additional warranties. If you would like to learn more about the kitchen renovation process with Hills Robes and Kitchens, contact our friendly team, located right here in Adelaide. It would be our pleasure to address your queries, and schedule your complimentary, no-obligation measure and quote. Choose from an exceptional range of premium cabinet materials to create the kitchen of your dreams. Achieve a wide selection of styles with durable melamine, from realistic woodgrain, to foil-wraps in a plethora of colours and textures. Aluminium-framed tough glass and perspex create that ultra-modern, high-gloss effect, while elegant routing and shaker-style doors achieve classic sophistication. Benchtops must be built to withstand some heavy-duty food preparation. When planning your kitchen renovation, we understand that you’ll want nothing less than a selection of the most hardwearing and attractive materials. Hills Kitchens offer a complete range of laminates, marble, granite and engineered stone from the finest suppliers, providing stylish and robust options, from luxe to less. Our fully customisable soft-close drawers eliminate the issue of damage, which occurs when drawers are accidentally slammed shut. Our drawers are fully customisable, meaning that we can tailor the perfect storage solution for your needs; choose the width and depth of your drawers to your liking, or ask our experienced design consultants to recommend optimal drawer dimensions, based on your kitchen size. We offer an extensive range of modern designer hardware from quality suppliers. Our range is updated seasonally, giving you access to the very latest European trends. Opt for statement embellishments or an understated design, you will be spoiled for choice when planning your kitchen renovation. Finish your kitchen renovation the right way with a stunning splashback. Splashbacks create a modern, polished look, elevating your design to the next level. We offer a vast range of colours and finishes, giving you the freedom to choose a splashback that is as unique as you are. Sleek glass and stainless steel are stylish, hygienic and easy to clean. Hills Kitchens employ the latest 3D design software to bring your dream kitchen to life in the planning phase, allowing you to view your selections as they will appear when renovation is complete. You can play with colours and styles and make any desired tweaks, well before the first nail is hammered, guaranteeing total satisfaction with your chosen design. Our expert kitchen renovation design team are highly-skilled in renovation planning, helping you to make optimal use of space and light and land on a beautiful, functional design. Whatever your budget, whatever your style, Hills Kitchens can assist you in realising your renovation dream. Hills Robes and Kitchens is Adelaide’s most-trusted and most-recognised name in kitchen renovation. We established our name in Adelaide more than four decades ago and it has long been synonymous with quality artisanship and superior customer service. Our customers are at the heart of everything we do, which is why we continually strive to be at the vanguard of the home improvement industry, staffing our business with a highly-trained and experienced team and offering you the latest selection of materials from the best suppliers. We place you at the centre of the kitchen renovation process by addressing your every query and concern and educating you about your options at each stage; this allows you to make informed decisions and feel entirely comfortable throughout the renovation. During your free and comprehensive design consultation, we take all the time that is needed to help you arrive at a kitchen design that reflects your style, needs and budget, and will integrate seamlessly with your home. With Hills on your team, we work with you to ensure that your new kitchen renovation is everything that you hope it will be, at a price you can afford. If you want to experience the Hills difference, our friendly team are available to take your call, or alternatively, you can contact us via our website enquiry form.